Truth may not be easy, often hurts but is always right! Learn to worship in Spirit and truth. when the true worshippers will give worship to the Father in the true way of the spirit, for these are the worshippers desired by the Father. 24 God is Spirit: then let his worshippers give him worship in the true way of the spirit [John 4:21 and 23-24 (BBE)]. Can you imagine having to go to Jerusalem or a particular place to worship God? Many religions have ‘sacred’ places which have traditional significance. You might have a building in which you believe the Lord meets you. Jesus makes it clear that there was a time when that was correct. That time was before the Holy Spirit lived inside of people. Truth is what is known to be true (factual) about God and what people have to do. It is real and sincere. In fact, Jesus said “the truth will make you free” [John 8:31-36]. 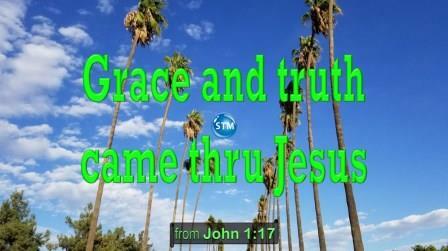 Jesus is the divine reality that has been made known to man [John 14:6-9]. He is the one who gives you freedom. Webster dictionary1 – The quality or being true; as: – Conformity to fact or reality; exact accordance with that which is, or has been; or shall be. That which is true or certain concerning any matter or subject, or generally on all subjects; real state of things; fact; verity; reality. If you are born again, you now have the Spirit of God in you [Romans 8:9-11]. You are His temple (dwelling place) [1 Corinthians 3:16-17]. “Your body is the temple of the Holy Ghost which is in you” [1 Corinthians 6:19-20]. As a matter of fact, He goes everywhere you go. That is the Spirit of truth; whom the world cannot receive, because it does not see him, neither does it know him: but you know him; for he dwells with you, and shall be in you [John 14:17 (RKJNT)]. Jesus wanted the disciples to know that He is the Spirit that will come to be in them. 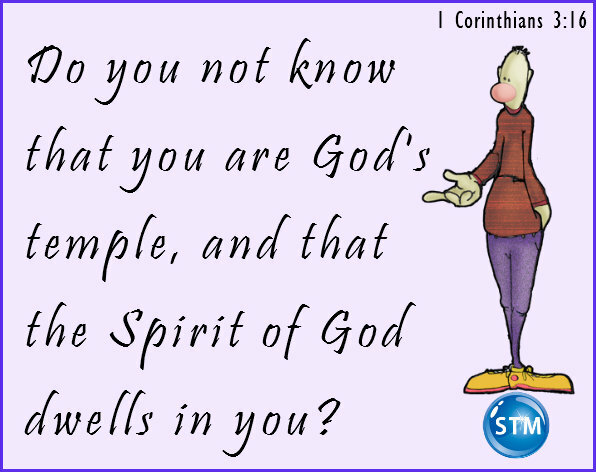 He is the Spirit that also is in you [Romans 8:9 and 2 Corinthians 13:5]. However, when he, the Spirit of true knowledge, has come, he will be your guide into all true knowledge: for his words will not come from himself, but whatever has come to his hearing, that he will say: and he will make clear to you the things to come [John 16:13 (BBE)]. That Spirit, the Holy Spirit (Spirit of God; Spirit of Christ), has come and is available to all. My friends allow the Holy Spirit to guide you into true knowledge. Now learn to worship God in Spiritual (the Holy Spirit) and reality (true knowledge of God and what you should do). Worship Him wherever you are and at all times. Yes, even in the building you call church. The truth is, temple of God, He came in with you! Blessings to you and your loved ones—♥ Tim. Note: parenthesis encloses the key verse(s). John 4:1-26 (21 and 23-24); 8:31-36; 14:1-11 (6-9); 16:5-15 (13). Romans 8:1-11 (9-11); 2 Corinthians 13:1-6 (5). 1 Corinthians 3:5-17 (16-17); 6:12-20 (19-20). What if no one lied? Can you deal with the truth i.e., spiritual reality? #worship #truth ? Click/Tap pic 4 more. Fast loading on ALL devices; ? ? ? enjoy your day! ?